Beyoncé caused quite a controversy with her performance of Thomas Dorsey's "Take My Hand, Precious Lord" at the 57th Annual Grammy Awards ceremony. The 20-time Grammy winner presented her version of the gospel classic during the 'Selma' tribute that closed the show, and critics have questioned her choice. Many believe soul singer Ledisi, who portrayed Mahalia Jackson in the film, should have been asked. 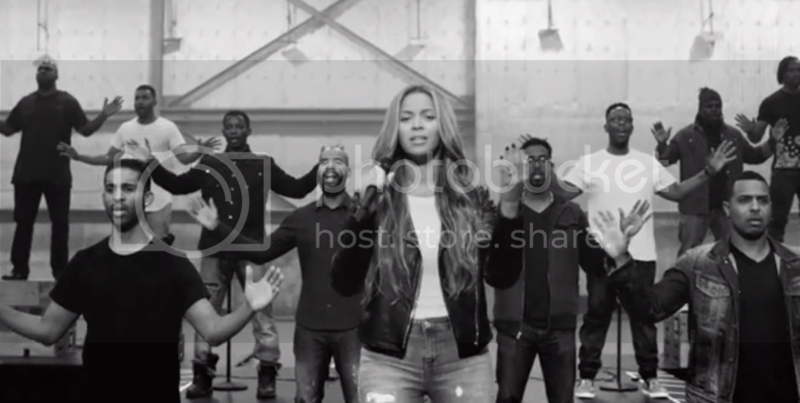 In a new short video, Beyoncé explained the song's significance in her life as well as the motivation behind the powerful performance. Beyoncé, like many of us, grew up listening to it. "I felt like this was an opportunity to show the vulnerability and the strength of Black men," she said. My grandparents marched with Dr. King. My father was a part of the first generation of black men that attended an all-white school. My father has grown up with a a lot of trauma from those experiences. I feel like now I can sing for his pain. I can sing for my grandparents pain. I can sing for some of the families that have lost their sons.